People are obsessed with the future probably because we’re never satisfied with our lives fully and we’re always thinking about solving problems to make our lives easier. The following people have proven to be real geniuses when it comes to thinking ahead and living in the future. 24. 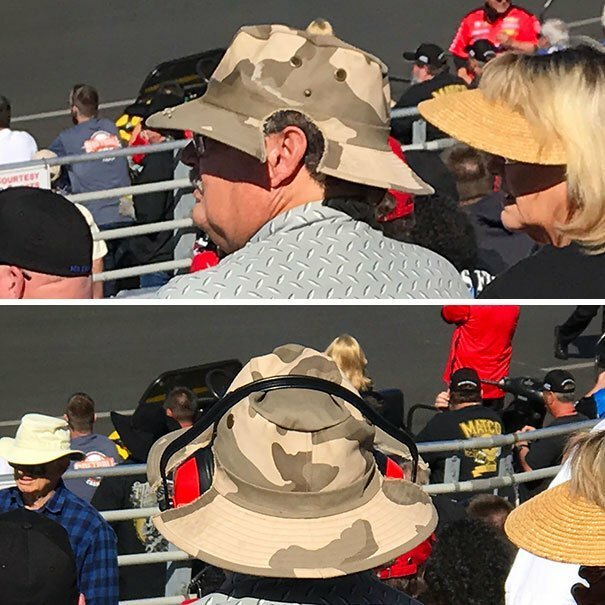 This man is wearing the perfect hat for headphones. Cleverness at its best! 23. 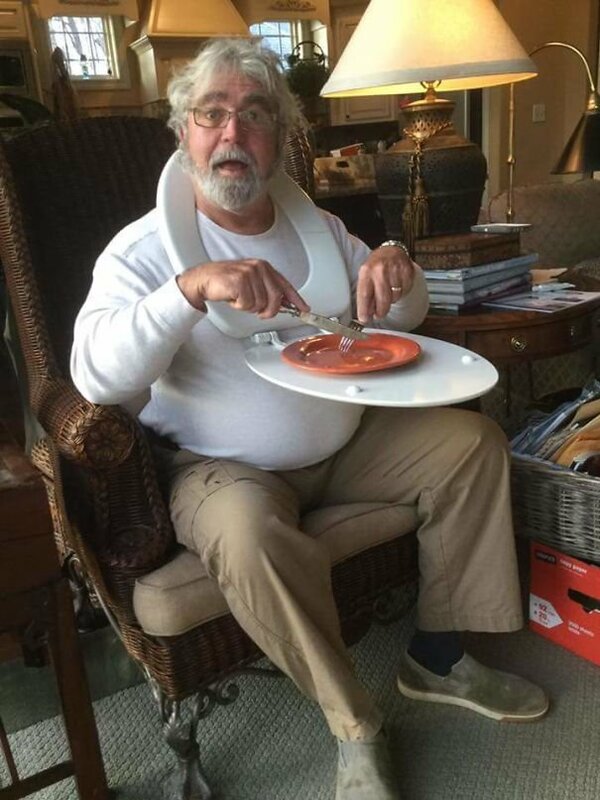 This dad decided to use the toilet seat as a portable TV tray. Disgusting but efficient. 22. 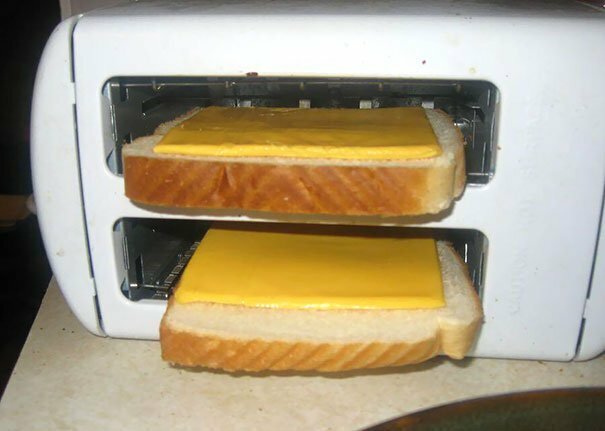 This is a great way of melting cheese on your toast to get all gooey and delicious. 21. 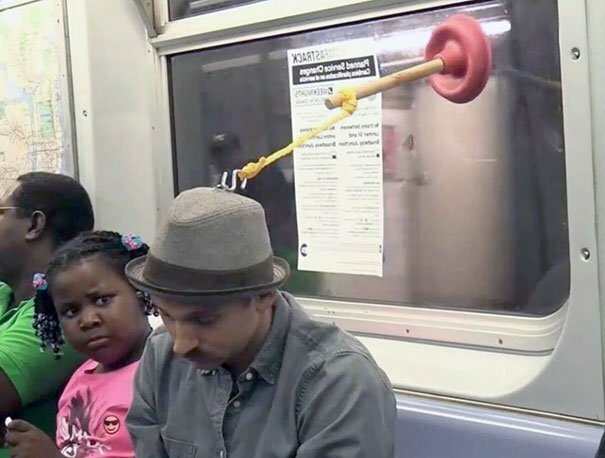 This man used this weird device to sleep on the subway. 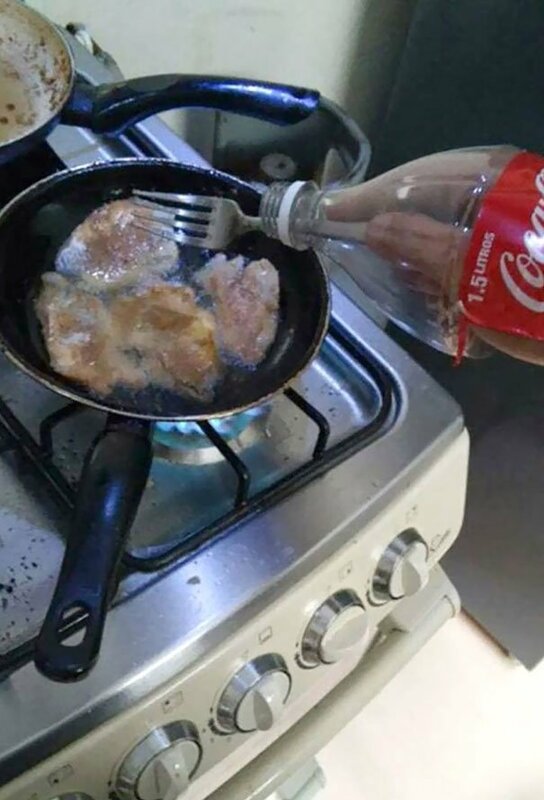 It's odd but useful. 20. 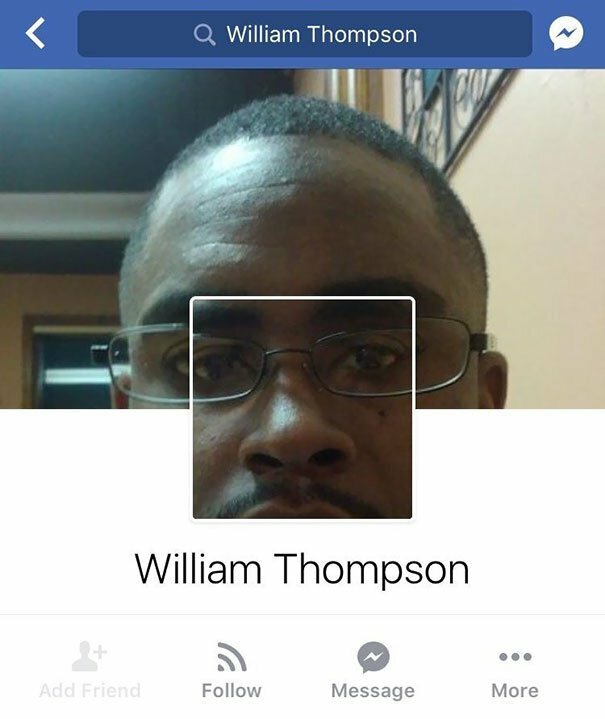 This man added pictures of himself on Facebook to fit perfectly with the profile design. We don't know why but it looks cool. 19. This girl loved her current makeup but had to take a shower so she came up with the perfect solution. 18. 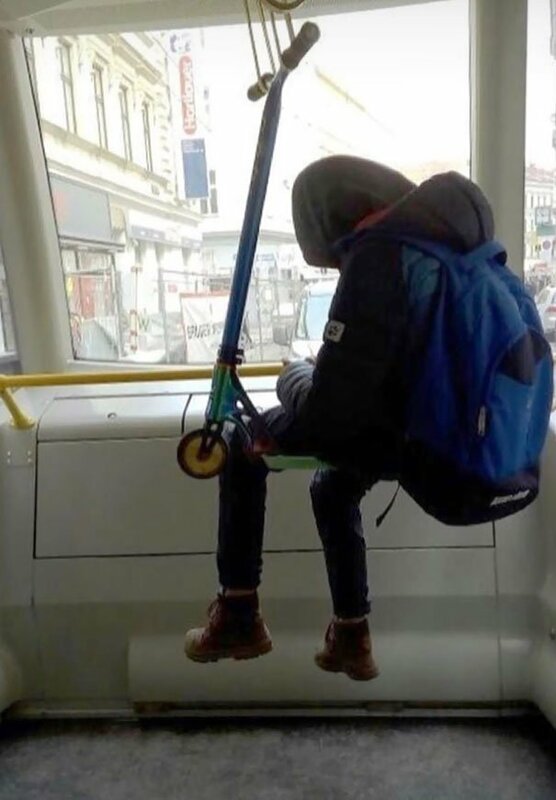 This clever man used his scooter to create a new seat on public transportation. 17. 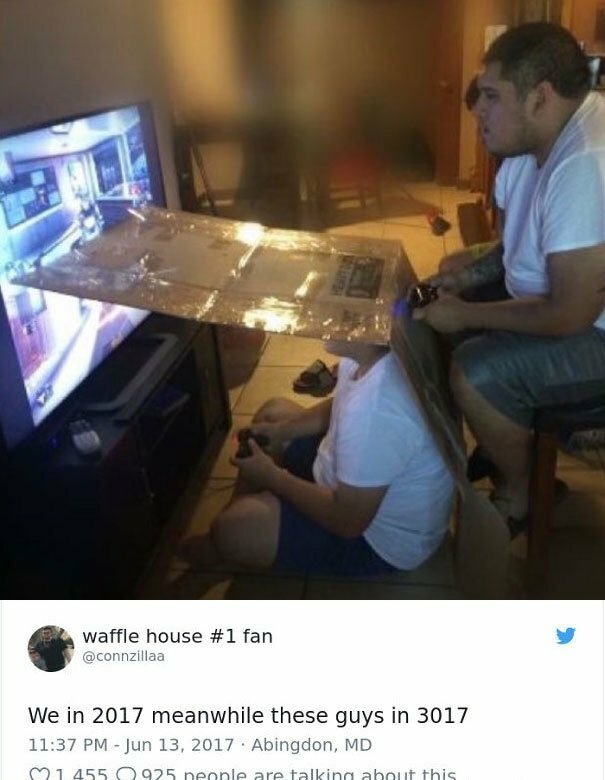 These two kids have created a barrier so that one player doesn't see what the other player is doing. 16. 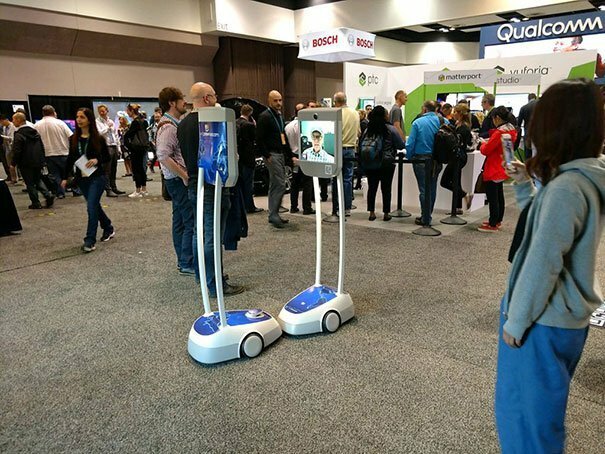 Two people meeting at the conference with the help of machines. If this isn't the future, then we don't what it is. 15. 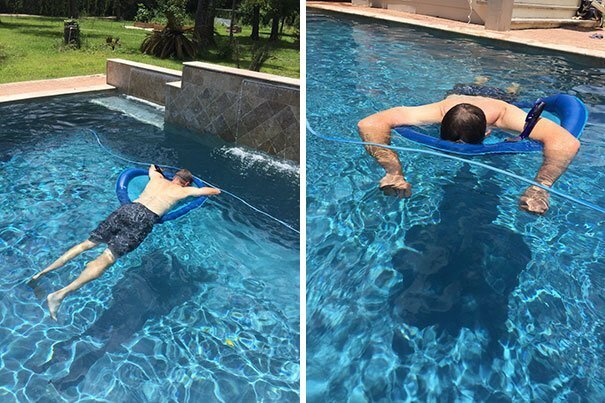 This dad bought a snorkel to sleep in the pool. 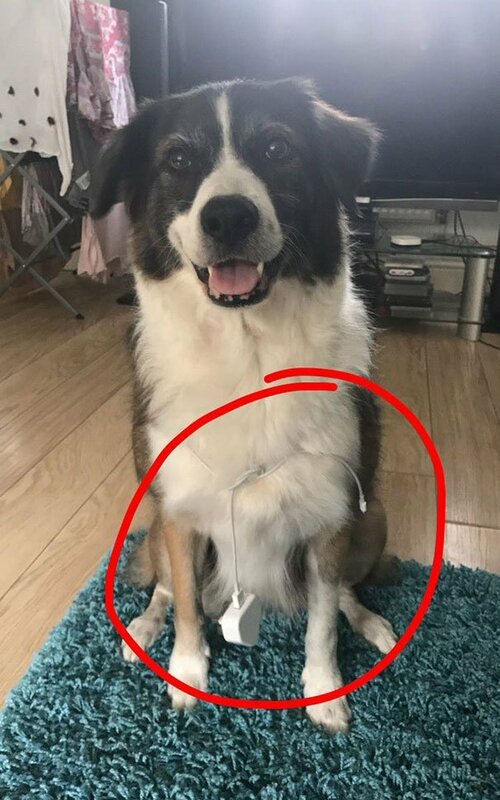 We don't know how efficient it is but he looks comfortable. 14. Some people are not meant to be in the kitchen and they come up with the oddest things like this plastic bottle shield. 13. 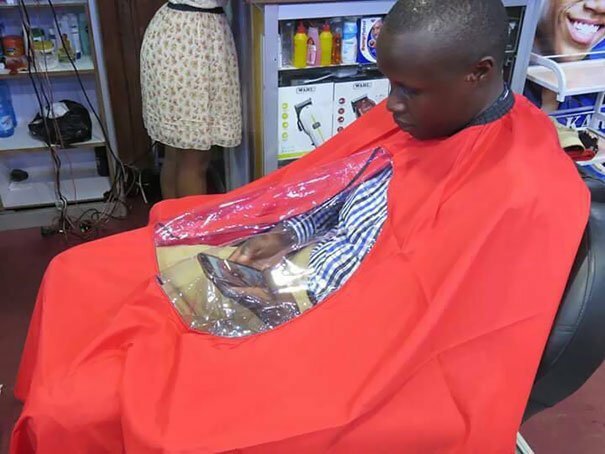 This modern barber knows that people want to check their social while getting their hair done. 12. 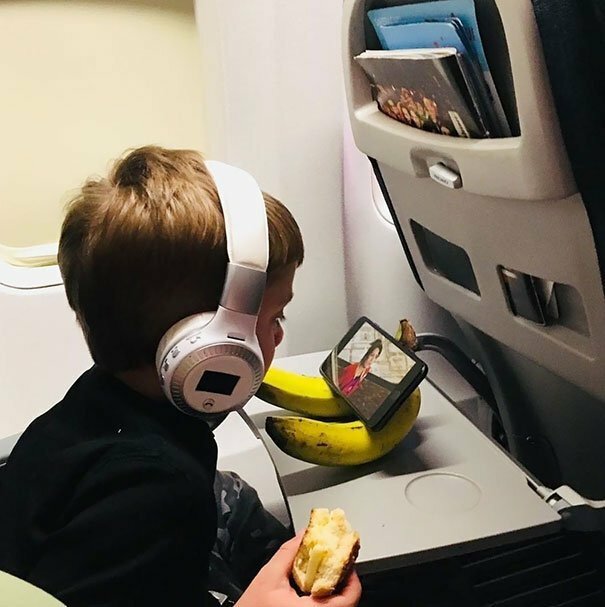 You don't need some fancy phone stand when you can use a handful of bananas just the same. 11. 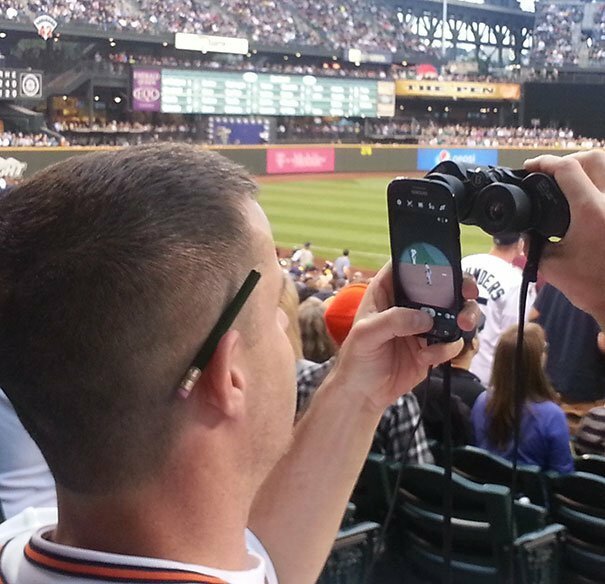 This man spent the whole game taking pictures using this method and it's pretty clever. 10. 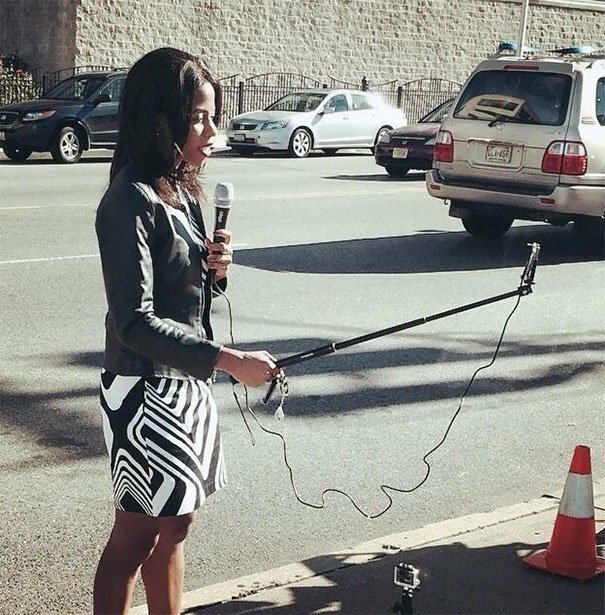 You can be a reporter and cameraman at the same time with the help of a selfie stick. We wonder what she reporting on. 9. 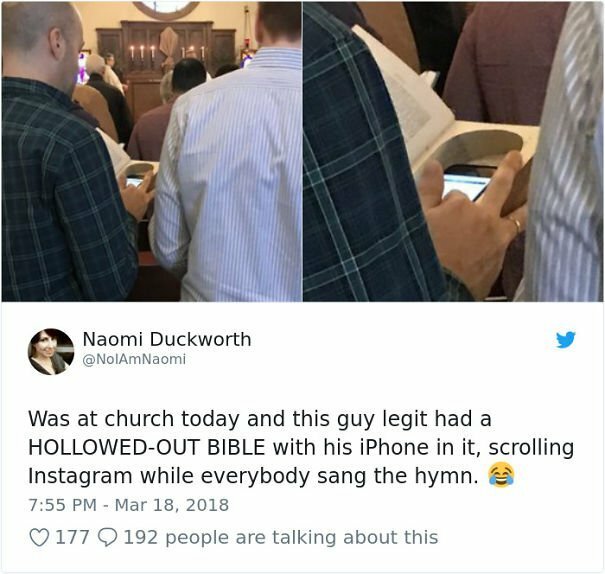 Sometimes the sermon gets boring but you can't just take out your cell phone. This man cleverly cut out his Bible. Isn't that blasphemy? 8. 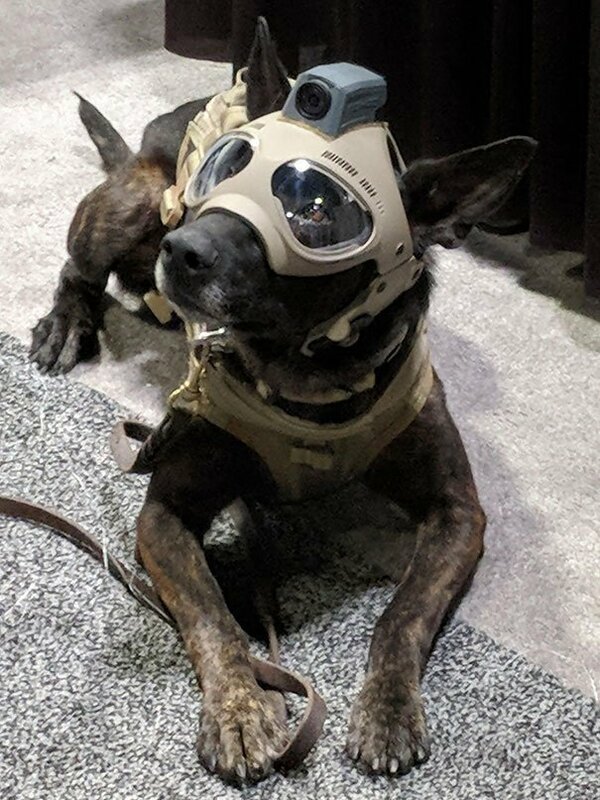 This is a new helmet for dogs in the military. They also look adorable. 7. This man knows that the dog doesn't like grooming. 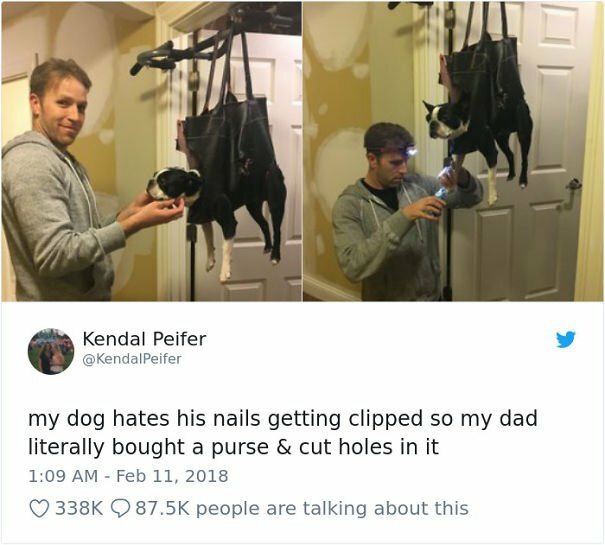 He created the perfect grooming station with a purse. 6. 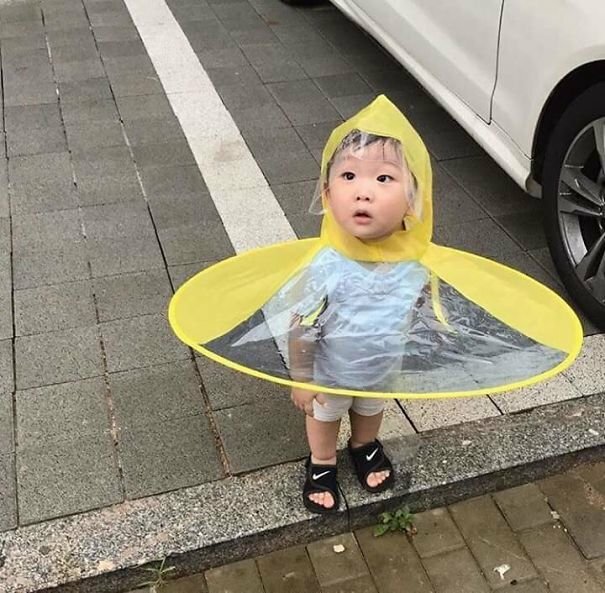 This device shows how overprotective this kid's parents are but he will definitely not get wet. 5. 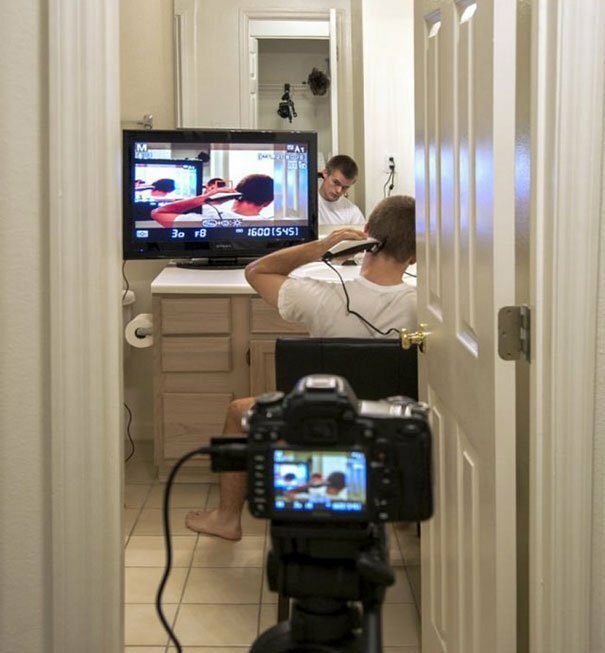 This teenager had to shave his own hair so he decided to make a completed system to look at the back of his head. Maybe he didn't own a second mirror. 4. This is the perfect delivery system. This girl messaged her mother from the other room needing the phone charger and someone else showed up. 3. 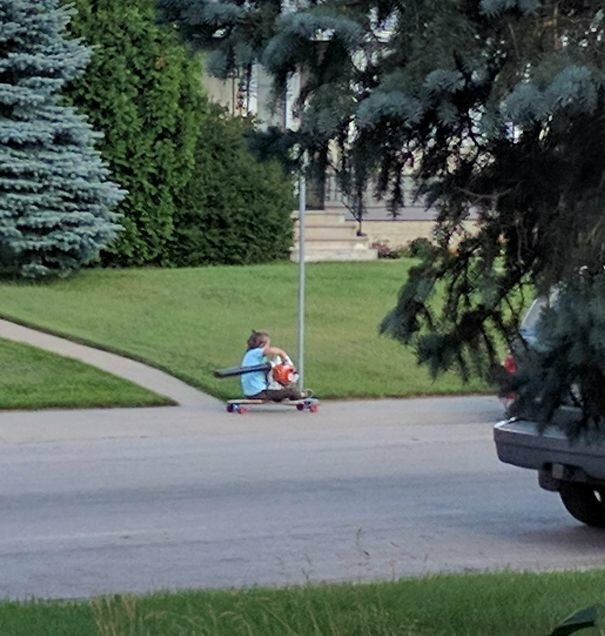 This kid is using a leaf blower on his skateboard to make it go faster. Did it work? 2. 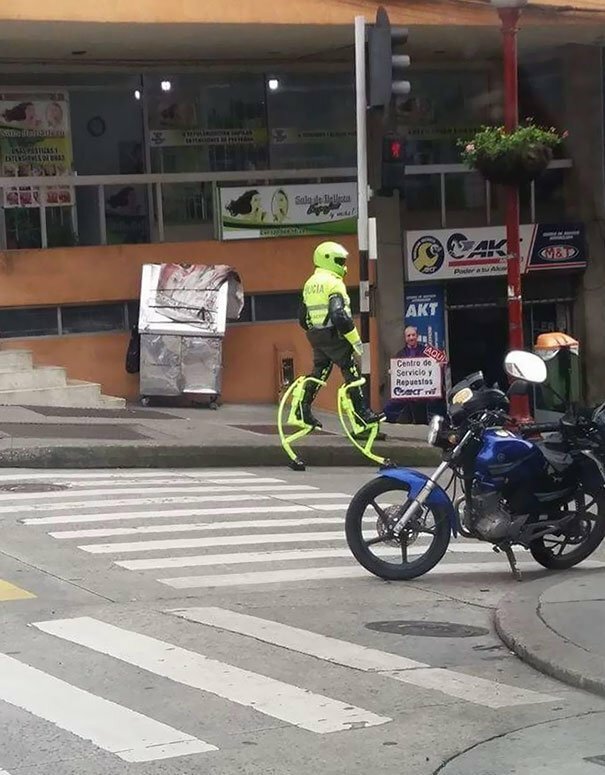 This policeman is wearing some fancy shoe gear. We wonder what they are used for. Is it for running faster? 1. 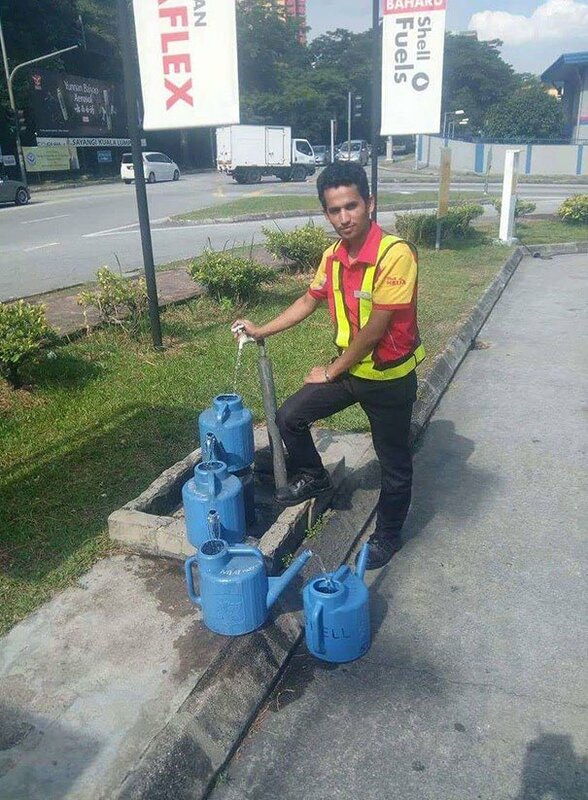 Instead of waiting to fill each canister, this man decided to created a sort of assembly line with them. All in one. Every advancement in technology has been achieved by people living in the future, looking to make life better. It's not crazy to think that one day, we'll have a gadget that resembles something from this list. Life is funny and human ingenuity is limitless.